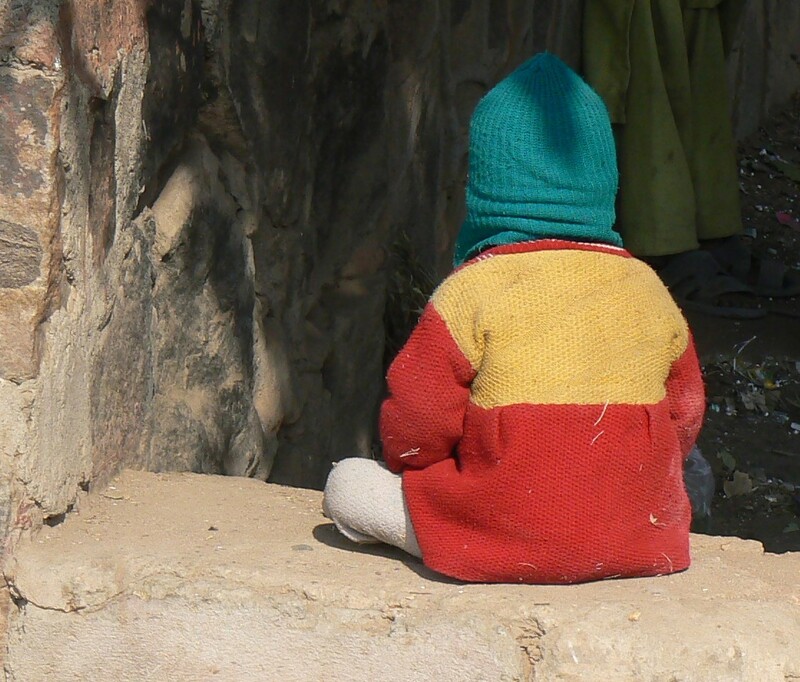 It's not an uncommon image in urban India: a toddler -- dusty, tear-stained face, wearing ragged clothing, sitting alone at a construction site. As India strives for development, construction projects mushroom, making up some 5% of GDP. Labourers looking for work move from their villages to the big cities, leaving behind support networks and any source of empowerment. From the lowest socio-economic rungs of society, they have very little bargaining power and are often paid less than the legal minimum wage. They form part of India's huge unorganized sector. 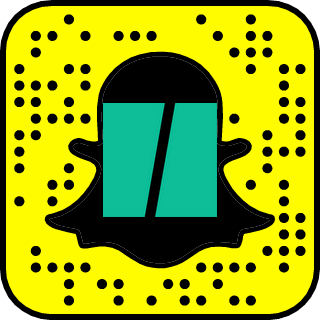 Roughly 40 million migrant workers - men and women - end up in the construction industry . And some bring their children with them. 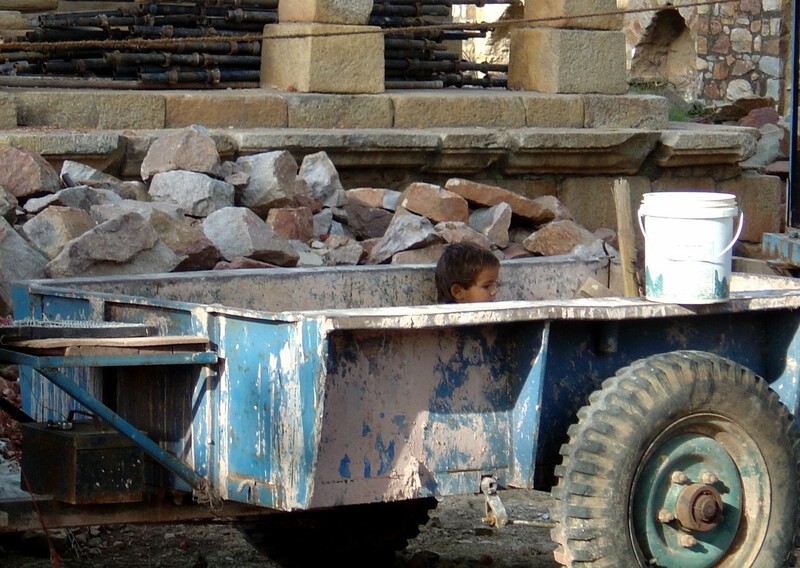 So, as they work their long days on the growing floors of a high-rise building or walk back and forth carrying baskets of gravel on their heads, their children wait nearby - exposed, unattended, and sometimes unsafe. In such situations, a haven is essential. 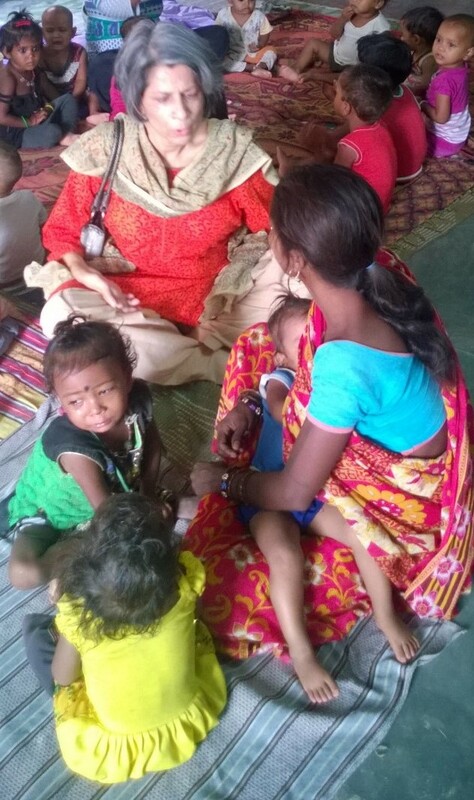 Mobile Creches (MC), an NGO, provides that. 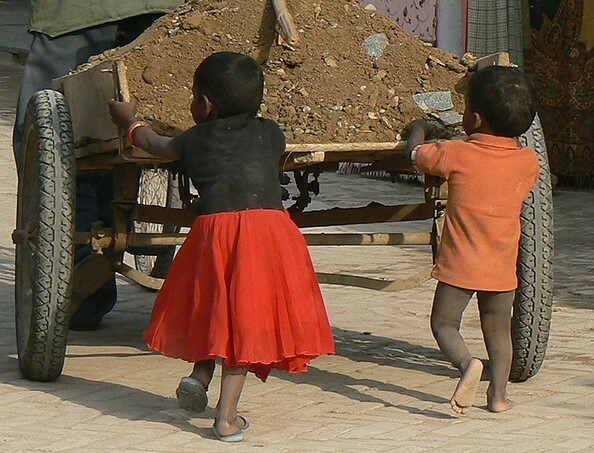 Started in 1969 in New Delhi by Meera Mahadevan and Devika Singh, MC began by negotiating with contractors to provide space at the building site of Gandhi Darshan at Rajghat so they could set up a simple crèche (i.e., a daycare center or nursery) to look after the young children of the labourers. The beginning seems iconic and appropriate. Quickly realizing the extent of the problem, MC joined in the national campaign for construction labour and lobbied the government for workers' childcare. In 1996, the government passed a construction workers' act, saying among other things that employers must provide some basic amenities, including a crèche on sites with more than 50 women working. Despite the law, even today MC needs to and still does call on contractors to remind them of their responsibility and negotiate with them for space, housing, water, and electricity for creating a crèche. MC's 45+ years is the result of its core of highly committed and organized people - mostly women - who day in and day out, year after year, have kept pushing for the welfare of poor preschool children. Stalwarts (http://www.mobilecreches.org/our-team ) like Devika Singh, Mridula Bajaj, Bhagyalaxmi Rao, and Anjali Alexander have indeed "leaned in", but not for their own gain. Anjali took me to visit one of many construction sites in the outskirts of Gurgaon - a city of relatively high per-capita income and home to many Fortune 500 companies. It happens to be 44 degrees celcius - not unusual for a summer day. As unfinished luxury high-rise condominiums loom overhead, we walk between several rows of make-shift workers' quarters to get to an MC crèche. 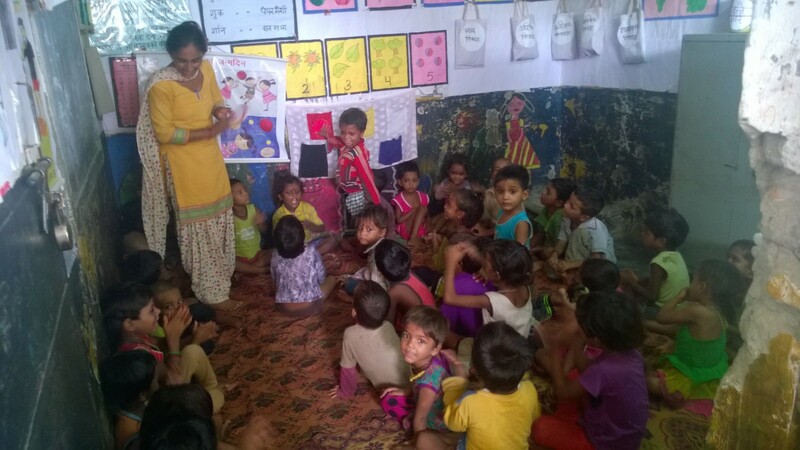 Managed by Kantha, Mahaveer, and their staff, this particular crèche takes care of over a hundred children. 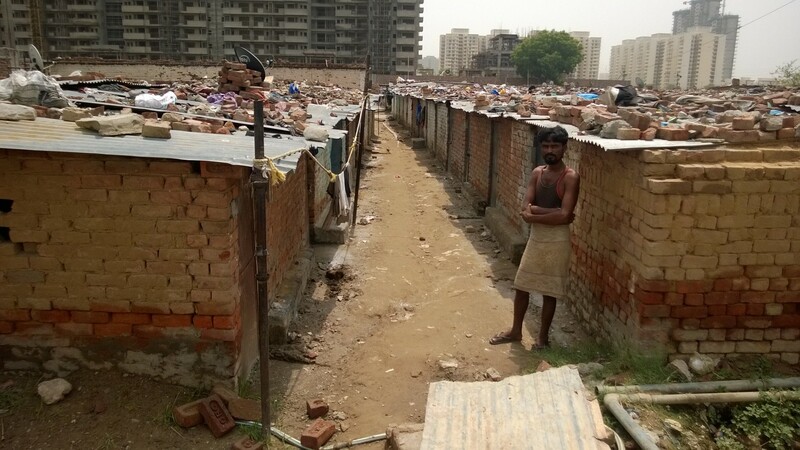 On a fenced-in patch of land of about 500 square meters sit two one-story buildings. One building consists of three small classrooms, a kitchen, a storeroom, and a bathroom. In one of the classrooms, a teacher is instructing some 25 five-year olds. They seem like a lively, happy bunch. School is where they can forget about the cares of their lives (like water, food, shelter, and safety) and just be kids for a few hours. 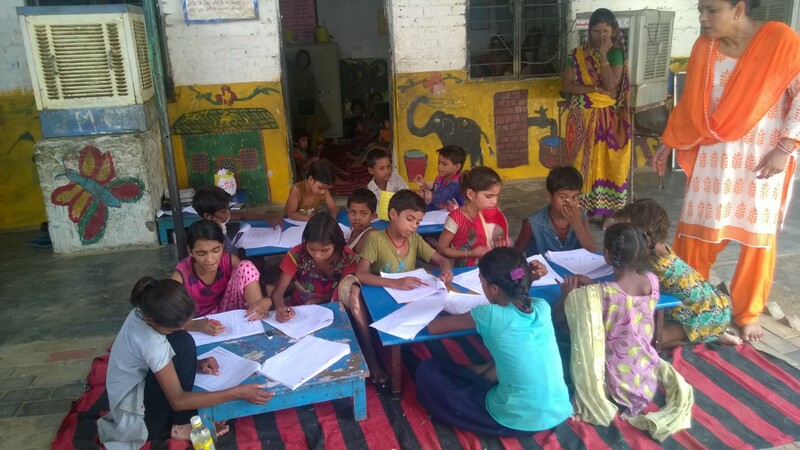 Outside the classroom, under a canopy, sit several older children, quietly doing some reading and writing. In the kitchen, a simple but nutritious lunch is being prepared for everyone. Across the way is the second one-room building with some 20 babies and toddlers inside. Two women attendants look after them. One attendant sings with a circle of standing toddlers while the other, sitting on the floor, rolls a ball with some of the smaller ones. 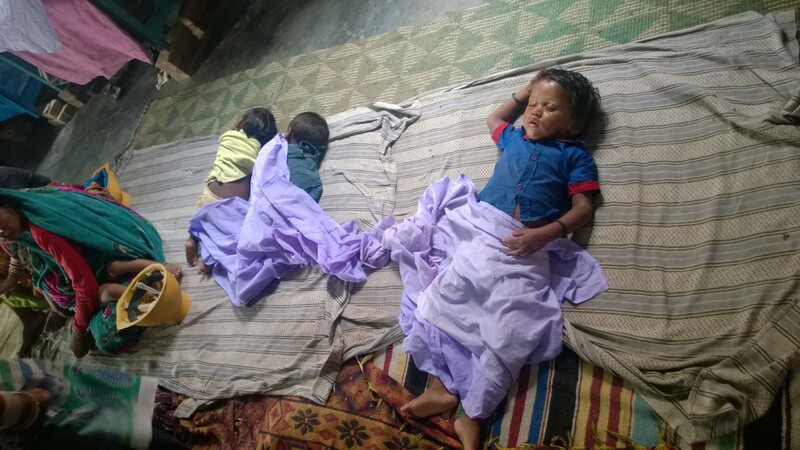 And despite the general noise, three little ones who seem just plumb tuckered out sleep on the floor to one side. Periodically, some moms working at the construction site, come to breastfeed their babies. Rani drops in to feed her baby Neha. Rani doesn't know her age but she looks like a weary teenager, and baby Neha looks emaciated. While always maintaining its focus on early childhood development (ECD), over the years MC has grown. 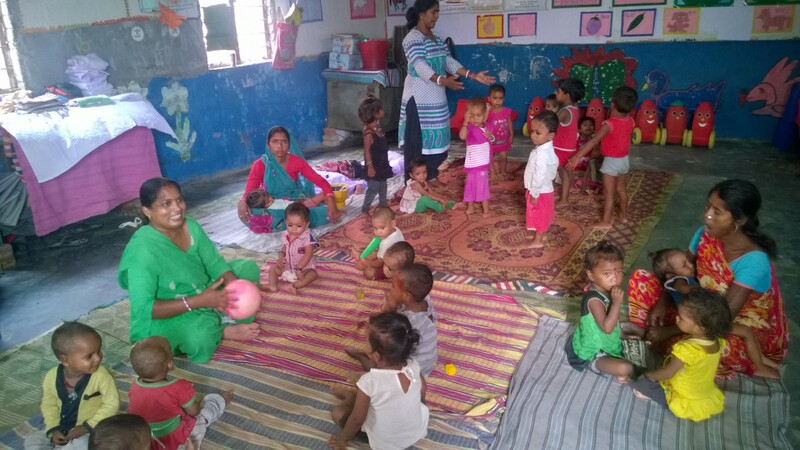 Geographically, MC itself has spread to Mumbai and Pune, along with training other NGOs and women in low-income neighbourhoods to run their own creches. Operationally, MC now includes immunization programs, medical check-ups, schooling for older children, and literacy program for adults. Philosophically, it has grown beyond providing aid to providing information (on nutrition, hygiene, rights, and government programs) as well as advocacy on ECD. As part of the national network FORCES, MC lobbies for government childcare and maternity support for poor working women. MC has also joined the Alliance for Right to ECD to push for legislation that would ensure better protection of the basic rights (such as nutrition, education, and healthcare) of children under the age of six. Their report is currently with the government, awaiting action. In the meantime, Rani finishes feeding Neha and returns to work -- but she doesn't have to leave her baby on pile of sand and hope for the best. Rani leaves Neha in the caring and responsible arms of the MC attendants -- knowing that at the end of her long working day, she will find Neha waiting for her at the MC crèche -- safe and sound.